A painful metabolic, that’s what Gout is, it emerges from the inflammation and when uric acid settles in the cartilages of the joints. It begins from the toes, making it swell and if ignored it spreads to ankles, knees, wrists, elbow and all the joints of hand and feet. It causes an acute pain that is unbearable, causing discomfort and a burning sensation. This disease is known as “vatarakta” or “vatashonita”. In Ayurveda it is healed by ayurvedic medicines and panchakarma, it helps in eradicating the excess vata and rakta, thus reducing the pain, swelling and its symptoms. Basically Gout is a kind of arthritis, as a mistake in Purine metabolism. Its pain is too severe, but is less in the chronic stage and it keeps lingering on for a long period. It happens due to the accumulation of urate crystals in the joints. These find the place because of the inflated presence of uric acid in the blood. The body’s excretory system surrenders before them and they create havoc within the joints by jamming them. What are the Symptoms seen in Gout ? In Sanskrit the pain is described as ‘vrischikavat vedana’ meaning bitten by a wild Scorpion. There are various reasons responsible for Gout, like eating uncooked or half cooked food like salad, sesame paste, vinegar, yogurt and excessive alcohol and wine. Eating viruddhahar that is contradictory in nature like dairy products with sour fruits, milk shakes, fruits with yogurt, dinking very cold water by mixing with extremely hot water, freshly harvested rice, wheat, improperly created yogurt. Sometimes we even eat during indigestion, even this can cause Gout. Some other reasons are excessive irritation and waking in the night and sleeping during the day. Some other secondary causes like being obese, renal failure and hyper parathroidism are also responsible. 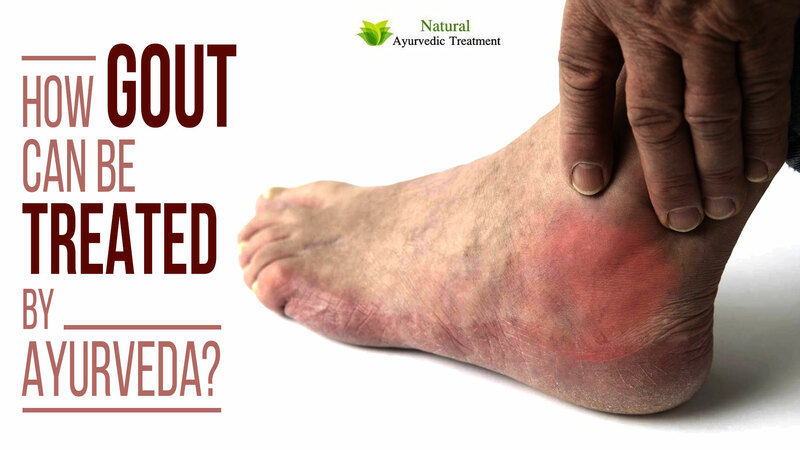 According to Ayurveda, this disease happens when vitiated vata entangles with rakta (blood) dhatu and gets clotted in the channel of rakta dhatu, this is when Gout symptoms get elevated. What are the Ayurvedic herbs for Gout? There are certain herbs that can help in the treatment of Gout. These herbs are used by Ayurveda to cure the people who are the patients of Gout by making certain remedies. 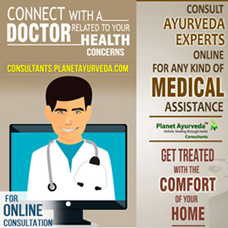 Go to an Ayurvedic clinic that just prepares the medicines by extracting the organic plants and herbs. The clinic should not use any chemical or color. Better buy Giloy capsules by Planet Ayurveda that consists of various herbs like Giloy (Tinospora cordifolia). 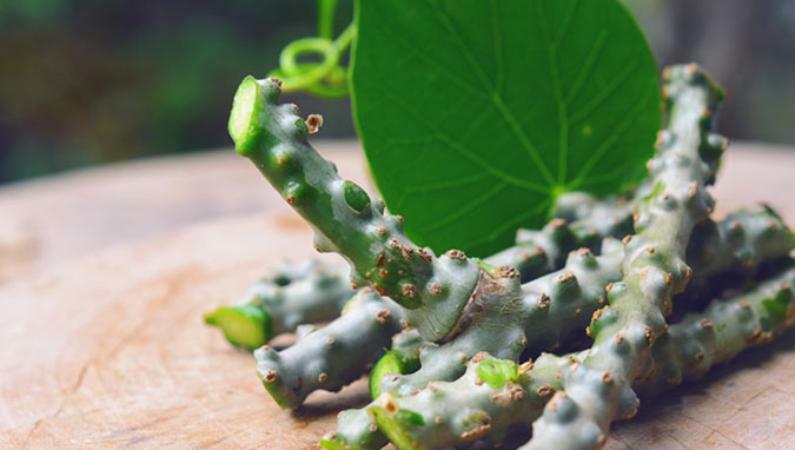 (Tinospora cordifolia) is a famous name in an Ayurvedic zone known as ‘Amrita’, meaning ambrosia vine in English. The benefits of this fruit meant total immortality, as it bestows the abundance of benefits to the human race since centuries. It can be eaten in the form of juice, capsules, and powder. 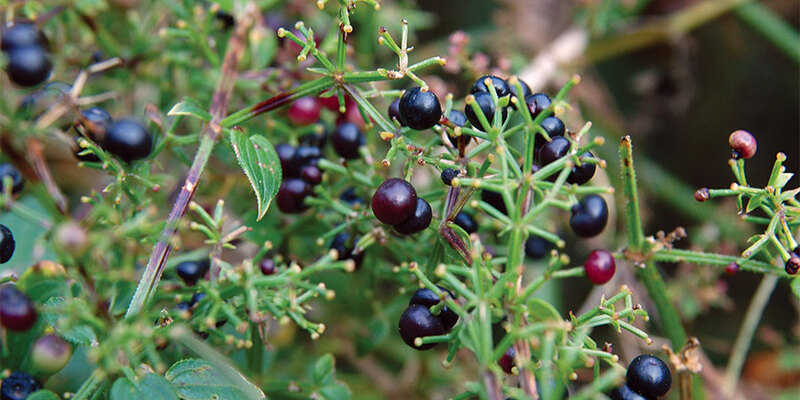 Giloy is considered the best plant to reduce the level of uric acid. The person who is suffering from gout can have 20ml of fresh Gout juice that is extracted from its leaves and stem. The extract of dry giloy and with adding gorakhmundi, another herb is readied to treat Gout. Boerhavia diffusa also holds a solid name in removing Gout. There are 3 main components found in our daily diet i.e. proteins, fats and carbohydrates. When the proteins get metabolized, forming uric acid, which is filtered by the kidney and flushes out through urine. People who are overweight, fat or obese may manufacture more uric acid, which gets collected in the lower parts of their bodies. It can create havoc with your body by creating solid crystals in the joints, resulting in their restrictive movements and causing acute pain when they move. Such a painful condition is called Gout. 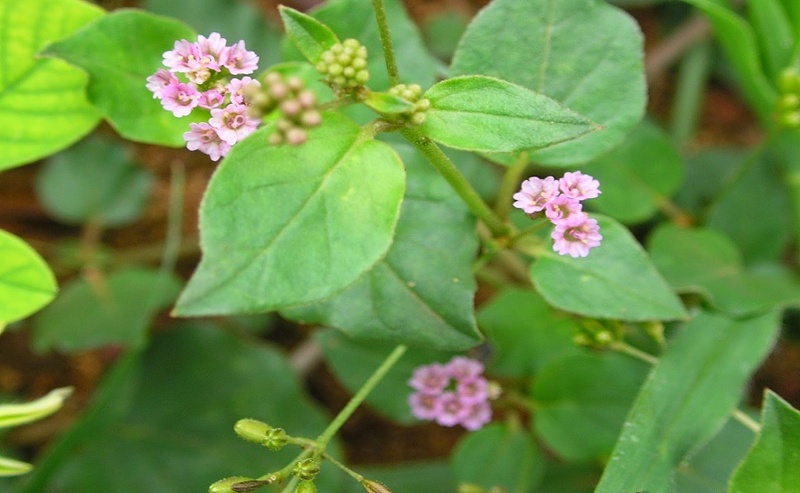 Punarnava – Boerhavia diffusa helps in reducing the secretion of uric level through kidneys. Just use this Ayurvedic herb for 1 month and kidney starts functioning better, managing the Gout syndrome. 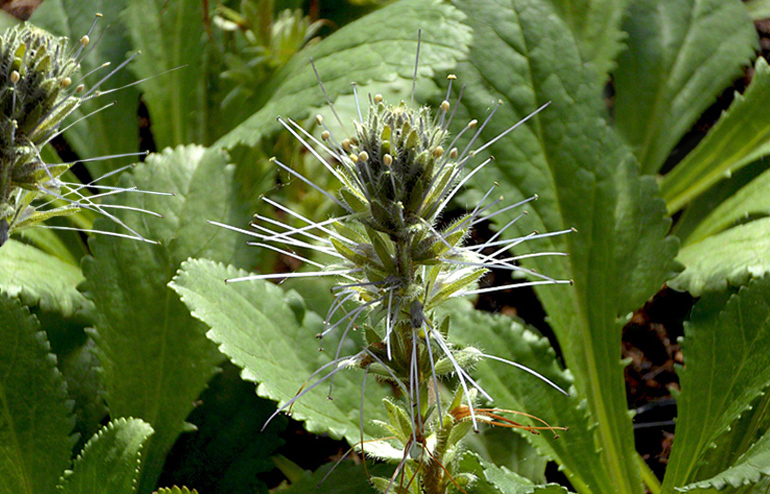 Emblica officinalis has lots & lots of medicinal features that manage the numerous number of diseases in a natural way. It helps in managing Gout very naturally. Gout is nothing, but the burning of the big toe and a little defective uric acid collection. Its salts and acids mingle in the blood and create difficulties in the joints. 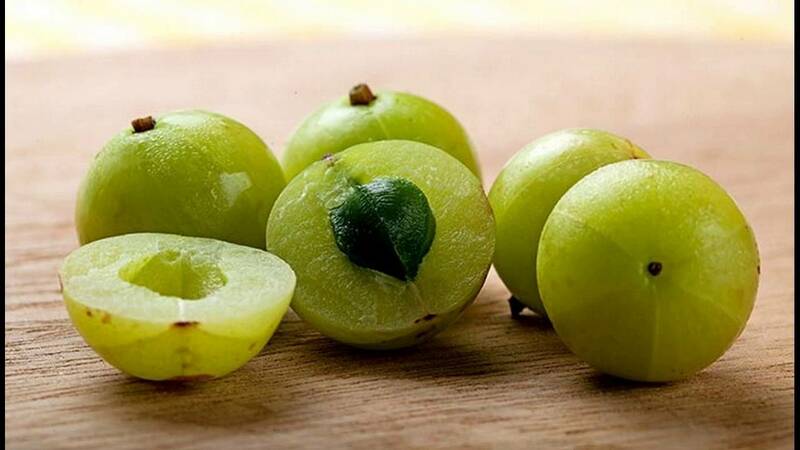 Get old ghee and mix it with Amla juice to soften your joints and flush out these impurities. As a bonus, it eradicates the scars caused by small pox, chicken pox, and measles. 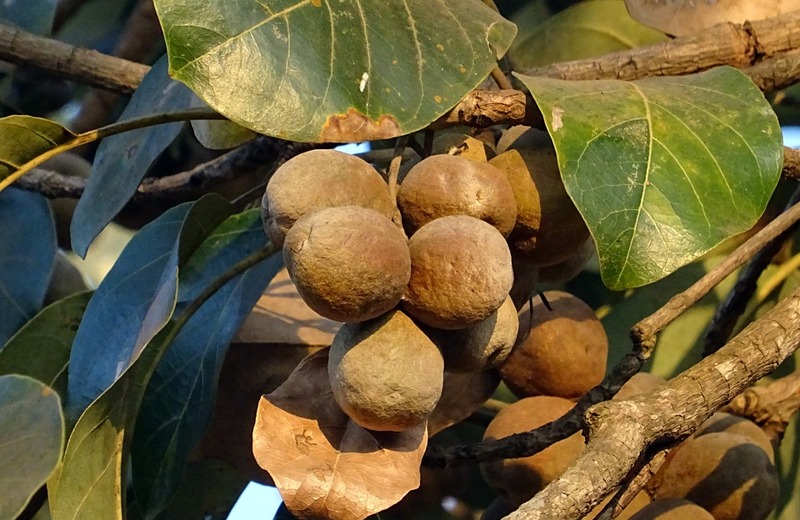 Terminalia bellirica was extensively searched and it was found to reduce the growth of uric acid, without any side effects. It appears to produce xanthine oxidase, an enzyme that enhances the oxygen level in the blood that was reduced by uric acid. Kidney gets the full blood and oxygen and starts functioning normal, throwing out the wastage (uric acid) via urine. Acorus calamus helps in reducing the weight that was the reason for producing more uric acid. But enhances the kidney functions, so the uric is filtered effectively and flushed out, so gout ceases to exist. 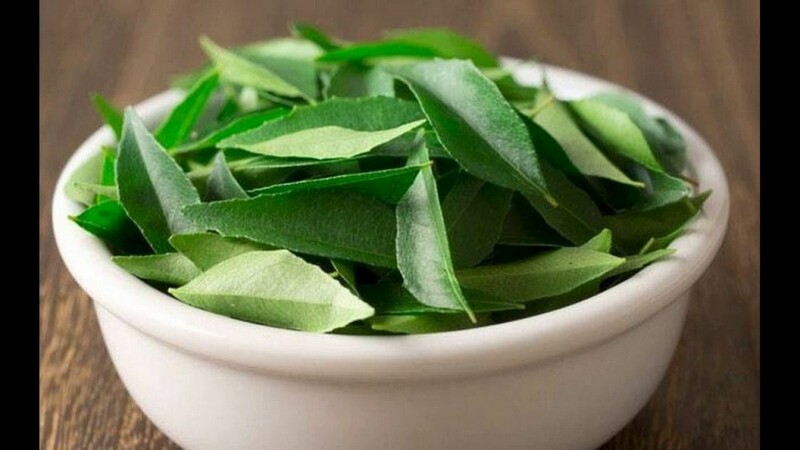 Azadirachta indica is popular for eradicating gout, because they are believed to be helping in treating different kind of arthritis, including gout, because they are anti-fungal, anti-viral, and anti-diabetic, enhances liver functioning, control sugar level in blood and encourage immune system. Rubia cordifolia is famous for detoxifying and purifying features. It halts the growth of uric acid, thus the gout is reduced and eliminated ultimately. 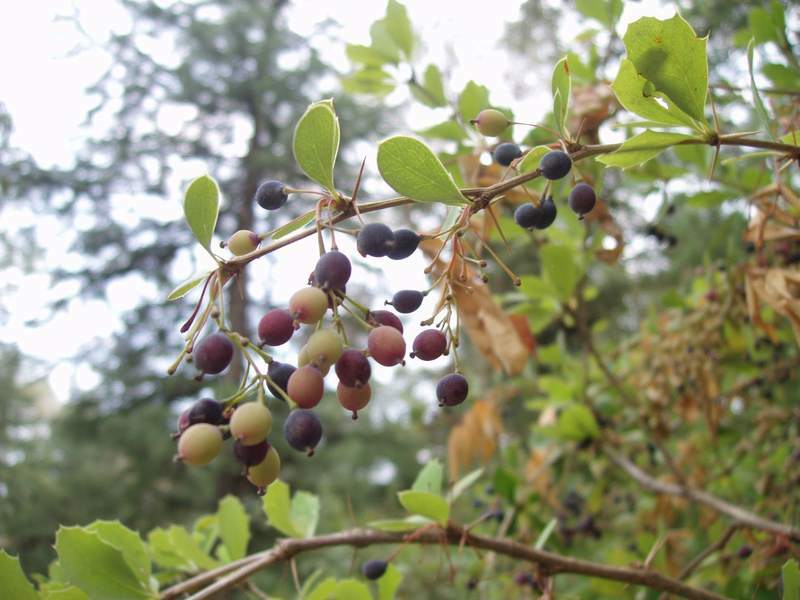 Picrorhiza kurroa is an antacid, anti-inflammatory and cool in nature. It produces alkaline media in blood reducing the uric acids quantity. It stimulates the kidney to function better, so that the urates are flushed out. Thus it reduces the chance of gout outbreak. These homely herbs are an excellent choice as far as gout is flourishing. They suppress its build up, so prevents your body against gout infection.